With all my respect, CHEATING in this game has reached MONSTROUS heights. In almost every battle, I fight with people that hit me in the ammo rack 3 times in a row, for example, blowing my head up at the end, setting on fire or similar. This happens 7 of 10 games. Getting the cupola out of order is one of the hardest critical hits you can perform this happens 3 of 5 games to me. I play IS-4 and hiding my lower plate, two tanks in front of me are shooting and penetrating every time the upper small plate in the same DOT while both machines move. I see the gun of the tank I aim and it makes very very smooth moves, while his tank strafes, at the roof of my tank... then he penetrates, one after another. I said to my self - why I did go trough all the stuff for this tank ? They see where my gun aims and do now show up until I aim elsewhere. The advantages these people get with the mods are numerous and everybody can see them in youtube. Last two friends I tried to get to the game said to me, after playing for several days, that everybody that play this game is very pro. They send me some replays and I see same hackers there with lv4 tanks smacking the things out of them. I've sent greetings to some of those cheaters after the game, asking them if they feel pro with the auto aim etc., and they are laughing at me, telling me "look at you, look at your losses, you are a loser", "I owed your whole team HAHAHAHA". THIS is the game experience I am experiencing. The effort WG is placing, IF there is any effort at all against the damn cheaters cannot be felt in the game. If that's the case then sending the replay and screenshots of the post-game chat in a ticket to support seems like the appropriate action. Considering the rest of what you wrote it's not at all surprising. Pretty much none of what you talk about is cheats. I can hit the right area for your ammo rack 3 times with no help, it's not rocket science. The game then decides if I damage it, no cheat can change that part. If I can see you I can see where your gun is pointing. What you are complaining about is people having knowledge and I'm pretty sure that's not on the banned list. So it's knowledge... is that so ? Would be too trivial if I say that you make me laugh. And you know very well what am I talking for and this is NOT knowledge. You may be able to do the above told but very, very difficult and maybe 1 of 10 tries if we should be realistic and if not playing against someone that will allow you to do so. Also, you cannot hit my observation device several times in a row while I move with E100 no matter now much knowledge you have, but you do know this very well, don't you ? The thing is this client is allowed too many modifications from user side. It is something like CS when the 1st hacks became available once and invisible people started knifing the whole team. You play the game, addicted enough, and you have access to something that can "improve" you dramatically. It is forbidden, but no one can catch you if you aren't stupid enough to upload a "naked" replay. What would you do - use only allowed modifications with limited information and advantage provided, OR, install "all the pages" and give them hell after getting use to the new, disco party screen ? It is the same like you find a bag full with cash, knowing who is the owner but also knowing that NO ONE will catch you if you do not dump your self. How much people will take the bag ? I think even the enlightened will. I have sent replays and information several times and was told that the only thing that I should do is report "unsportsmanlike". "We cannot investigate players, we are only support and cannot do anything about that." was the answer. I told them that, hereby, with this ticket I want to do the same - they closed the ticket with no answer. I do not want to become an investigator in this game, I want to play - fair and square. Feel this like a big theater, really, and it is not funny, at all. i can rack every tank in game i can kill every crew member i want of most tanks ( if i got proper pen of course) because I KNOW THE DAMN TANKS. i must to admit i use for ages hit zone skins but now i dont even use them anymore because i already know exacly whre what is .. ( they are not bannable anyway) but to rack someone u need not only hit the rack itself but got enought damage to destroy it.. if u think ur racked to much use proper crew trining and equipment to prevent that i dont even remmeber when i got racked nowdays. when im on germans i catch fire sometimes but not rly often..aimbots in wot not rly work because most of times ur simply dont shoot light tanks riding 65 hm from 122 mm barrels but shoot at hull down targets that not rly move and with litlle practice and knowledge u can simply know weakspots.... this aint fps .... its nto csgo..... aimbots are most of times useless. Edited by AngryCombatWombat, 02 January 2019 - 11:57 AM. Don't try to teach him something he's not able to understand. He's bad because other players shoting him are cheaters. He "knows" when people are cheating just by looking at them. lmao, no wonder they laugh at him. You two make me laugh. So I accept that the game is full with pros like you two. There are no hackers and the forbidden stuff does not do a job, therefore no one use it. However, tank godfathers, having the knowledge of the game does not mean you should be like horses, eyes sides shut. There is an opposite side of the one you are referring to and it is exactly what I am talking about. Merry Christmas to both of you and the tankers reading the forum. There is only fair play in WoT. I like it very much. You get ban for cheating, team damage and definitely for trolling and other toxic behaviour. Edited by 11poseidon11, 13 February 2019 - 06:07 PM. Edited by 11poseidon11, 13 February 2019 - 06:08 PM. I only get the "you can't fire as you are dead "message 1 milli second before I get killed. I think shoots get stored then at set times they all get processed and top of the cpu que wins. i was permamently banned without 7 days ban,what can i do?? Raise a ticket with support. Check your email, you may have missed your last ban because you were on holiday or something. same here .. i use modxvm, calc effectivness of battle and statistics of battle and they ban me permamently with no reason .,... and i dont have msg on my mail for 7 days before or something. use only statistics mods wtf??? Edited by Droosila, 13 February 2019 - 09:14 PM. Has someone else had access to your account? Have you log on from someone else's machine? Are you sure you didn't ever intstall any other mod, not even just to try it out? Even if you didn't play a battle? Please don't make wild claims like these as there was no such "well known" or "everyone knew/knows" there was never notoriety of top clans using illegal mods or cheating. Please do not confuse skill for cheating that devalues the element of skill and elevates the value of cheating. Dont confuse your feelings with facts. I wouldnt be surprised if most, if not all, of those numbers are blatant lies. I used prohibited modes and I got a permanent ban. I admitted I used it, installed it on the last patch and it was my first warning and for the first time I used them and immediately got a permanent ban. Unjustly without Guilty Evidence! And why just because I did not pay them $ 10 a month for them like everybody else playing big clans. 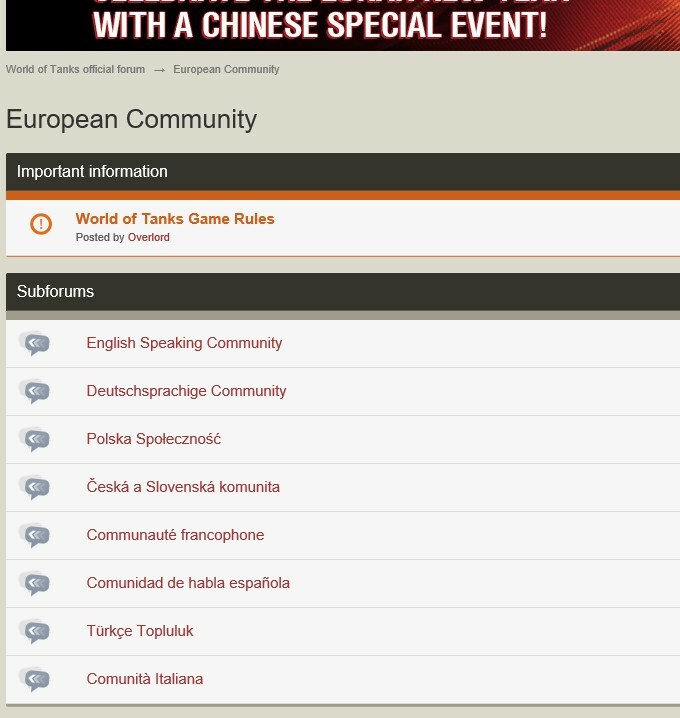 If it's all so fair, why clan wars do not work most of the banned modes, because WOT administrators can banned for all unauthorized modes but can not isolate small players who do not pay $ 10 a month already using a trial version. This is only a small truth about a large corporation that is rich in small people.